Taken in Santa Barbara, CA in early January. 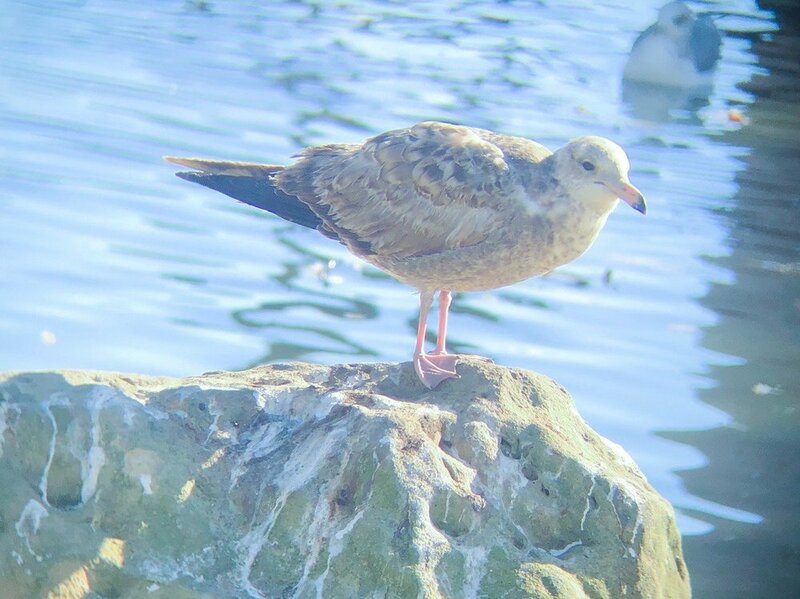 I think this is a Herring Gull, but i am not sure at all! Thanks for any input. Apologies for the poor picture. I was thinking first winter california with that whitish face, and long pink bill. But I have limited knowledge of gulls in the west.